Sciatica pain pathway shown on the right hip and leg. This same pathway is also on the left side. Sciatica is pain due to irritation and/or impingement of the sciatic nerve. The sciatic nerve (shown in blue on the figure) passes through the buttocks and down the leg. The location of certain meridians in Chinese medicine follow the pathway of the sciatic nerve. Massage to these meridians and acupoints can help ease sciatic pain. Meridians are pathways for the flow of energy, called Qi (“chee”). Meridians cover the entire body. 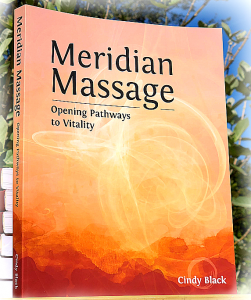 If the flow of energy (Qi) is blocked for a long period of time in a meridian, we can experience pain. The pain from blocked energy can range from mild to severe. Massage for sciatica involves massaging the meridians that mirror the location of the sciatic nerve and/or the areas of referred pain from sciatica. 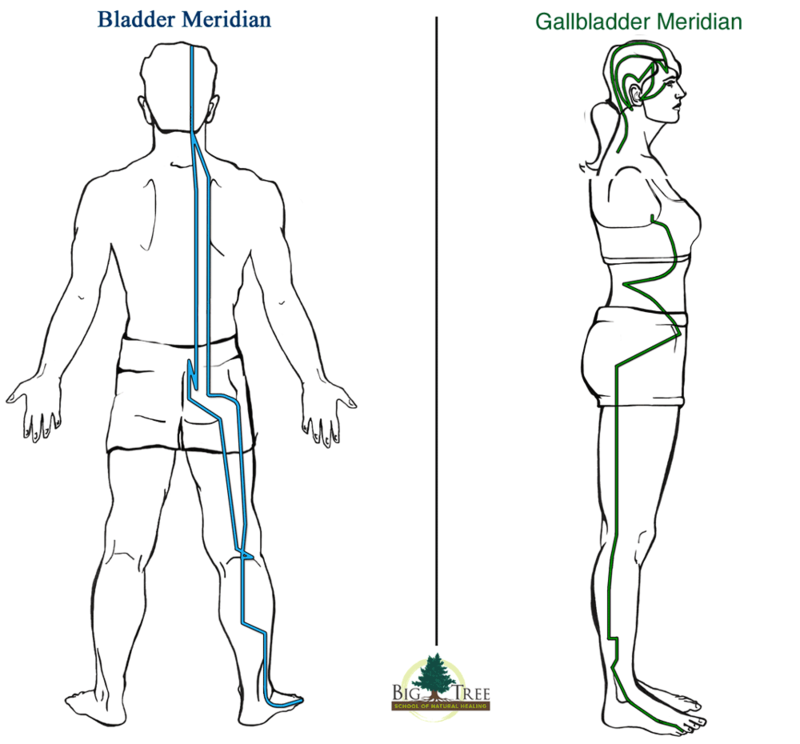 Massage the Bladder and Gallbladder meridians to stimulate the energy to flow. Acupressure points, also known as “acupoints,” or “points,” are specific locations on the meridians that are used to affect the flow of energy. By massaging these acupoints, we can get the energy flowing freely again. When the energy flows, the pain dissipates. Massage acupressure points to relieve sciatica. Massage these four points to relieve the pain associated with sciatica. Apply gentle, circular pressure to these points. Never use so much pressure that you cause contraction or pain in the area. The right amount of pressure “feels just right.” You will know that you have the correct of amount of pressure when you can feel a sensation at the point. Just keep breathing while a sense of relaxation builds. Practice and experiment with these points. With time, you will get it just right, the energy will flow, and the pain can subside. 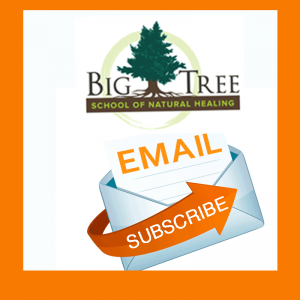 To continue learning, check out the “Relieve Sciatic Pain” video on demand. 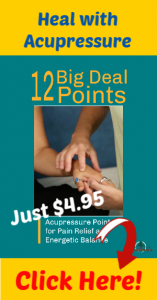 ← Shoulder pain – Acupressure points can help! Thank you Cindy … I used this technique several times with clients and it worked well for them, however, also important is lifestyle changes for lasting results! I am acupressure therapist. 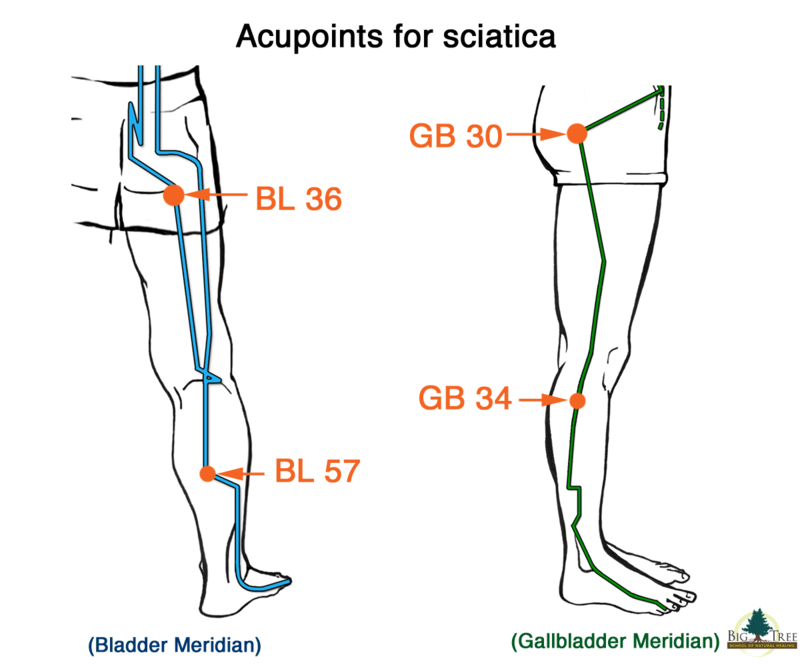 I have used GB and BL meridian points for sciatica pain relief including the one suggested by you. They are very effective.It has taken 7-10 day for full recovery. I have used a small massage mahine o those points. I have used them on the sole of my feet as well. They have reduced my pain a lot. Thanks for adding in your experience! Always enjoy your explanaition. Thanks.